Hey, Will You Be Our Valentines? 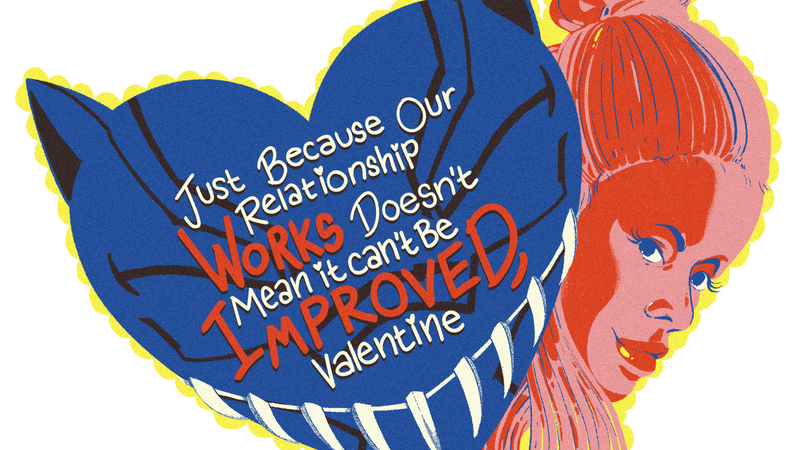 Some places sell nerdy Valentine’s Day cards but can they compete with io9's nerdy Valentines? We think not. Even if you don’t care about Valentine’s Day, we think you’ll get a kick out of these. Illustrator Chelsea Beck really outdid herself this year with our requests. We, uh, leaned a little heavy on Marvel this time around...but can you blame us? First up, some sweet fusion action from Steven Universe’s Ruby and Sapphire. [Whispering.] We’re sorry. We’re so, so sorry. Can you imagine Iron Fist, Luke Cage, Daredevil, Jessica Jones, or the Punisher celebrating Valentine’s Day? Now share these with your geeky pals and put a smile on someone’s face! Update: 9:25 a.m. 2/14/19 - We’ve removed the Halloween card from this post and deeply apologize to those it upset. Deputy Editor, io9. Loves cats. Wonder Woman 1984 Is a Sequel, How Is This Even a Question?